This is it! 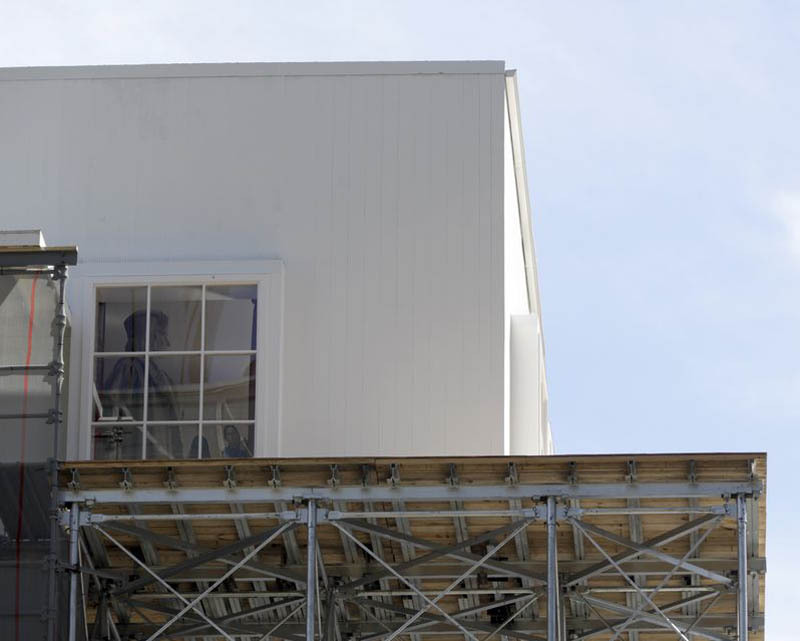 The day New York art lovers have been waiting for. 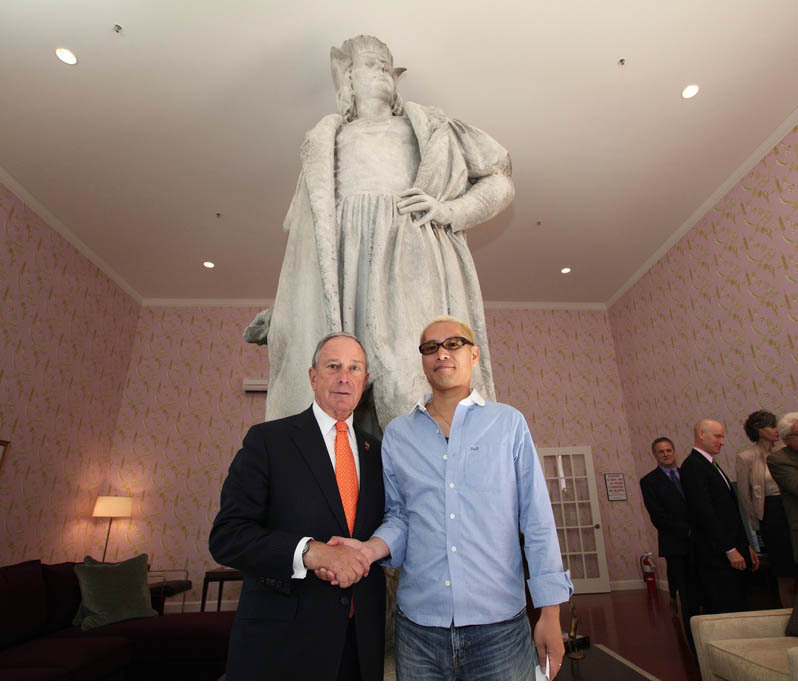 Tatzu Nishi’s Discovering Columbus (previously here for background) opens to the public and I’ve got my free pass to stop over later, however, I couldn’t resist the sneak peek from the VIP listers. 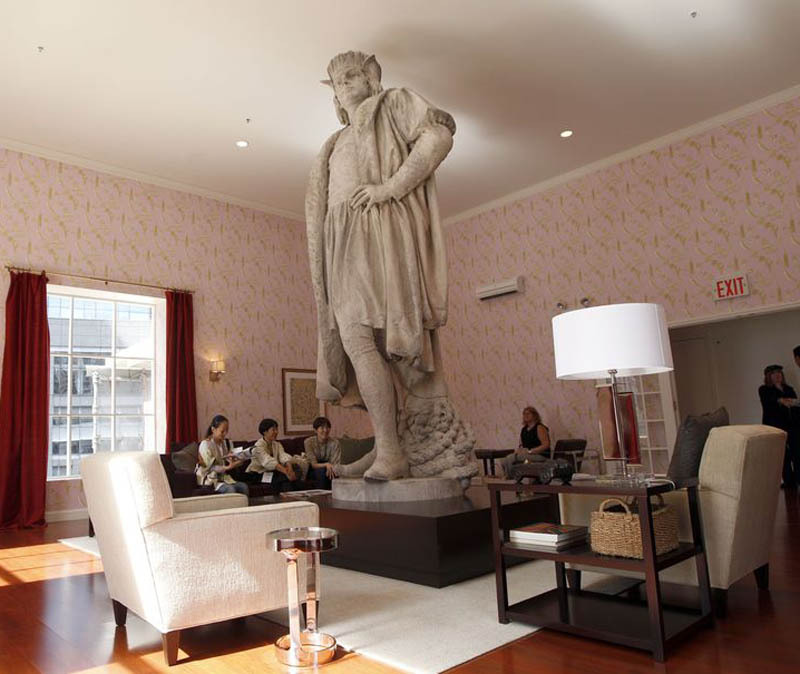 The large elevated living room is just as described: built around the famous Columbus Circle statue, that stands tall on the coffee table in the center of the room. The wallpaper print is made up of iconic New York City American images ranging from the Empire State Building to a mustard-slathered hot dog, Elvis and Mickey Mouse. There’s even a TV. Totally nutty and fun. I, for one, am really looking forward to this. 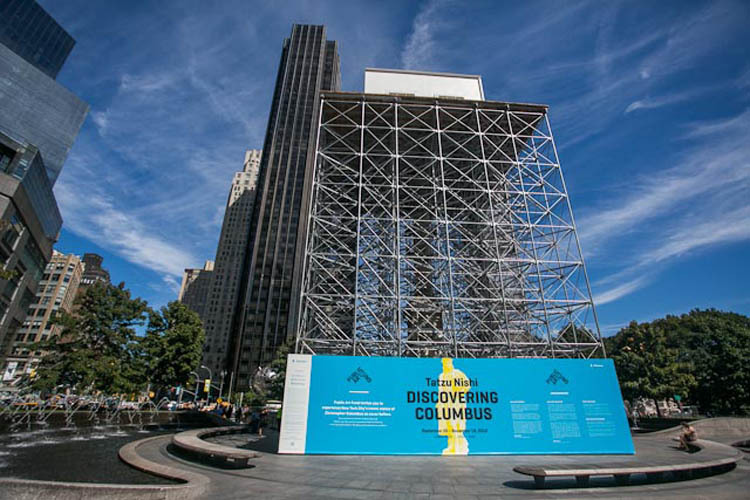 Discovering Columbus will be up through November 18, 2012. Visit the Public Art Fund’s website to reserve your timed free pass. Photos: AP/wsbtv; Sam Horine/gothamist; vidiot’s flickr; and nymayorsoffice’s flickr. It looks like their site is down at the moment, but give it a try later, or tomorrow, and I’ll bet they’ll have it back up and running by then. Nonsense….tried left right and sideways on multiple days at multiple times and YOU CAN’T GET TICKETS on the Public Art fund website. Don’t even bother. “cartNum must exist on submitted form”? That’s not helpful. “Call and leave a message ; we’ll call you back?” They don’t. What a kerfuffle!